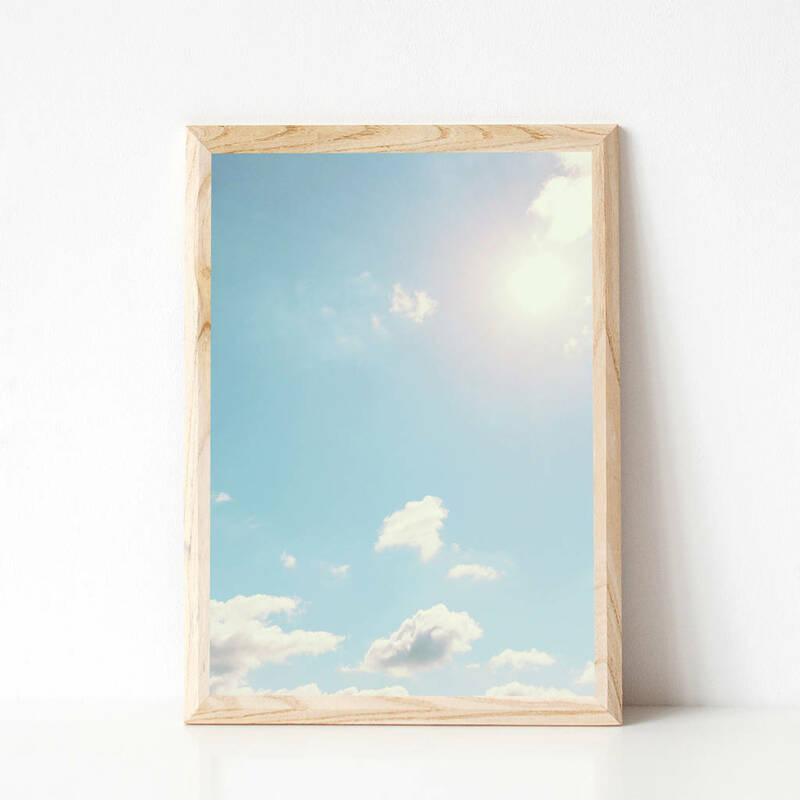 A minimalist print featuring a beautiful bright summer sky. This would make a beautiful gift for your girlfriend, Mum, sister, brother, Dad or best friend on any occasion. Maybe you fancy a gift for yourself. Oh go on then! 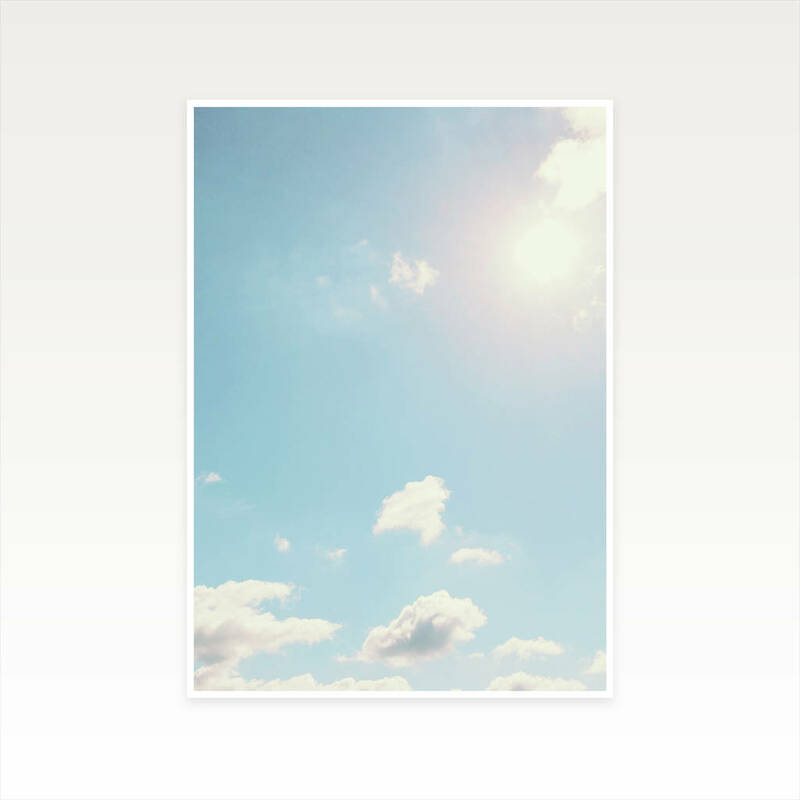 This modern minimal print will look great in a serene bedroom.